Recent missile threats to the United States have the military looking up to its northern most installation, Thule Air Base (AB), Greenland. It’s there that the Air Force monitors the skies for missiles from its Arctic location strategically positioned at the halfway point between Washington, D.C. and Moscow. «Thule’s unique location makes it a key asset to the United States, however its unique environment makes it a difficult asset to maintain», said Dan Rodriguez, acting-Deputy Base Civil Engineer, Peterson Air Force Base, Colorado. The U.S. Army Corps of Engineers, New York District, is doing something to address both of these areas. They are performing a major base consolidation that will save energy, tax-payer money and most importantly improve Air Force readiness. Thule, pronounced «Two Lee», is Latin for northernmost part of the inhabitable world. Thule AB is located in the northwestern corner of Greenland, in a coastal valley 700 miles/1,126.5 km north of the Arctic Circle and 950 miles/1,529 km south of the North Pole. For over half a century, the base has been home to active-duty Air Force members who live and work in this remote and harsh environment to perform national security. 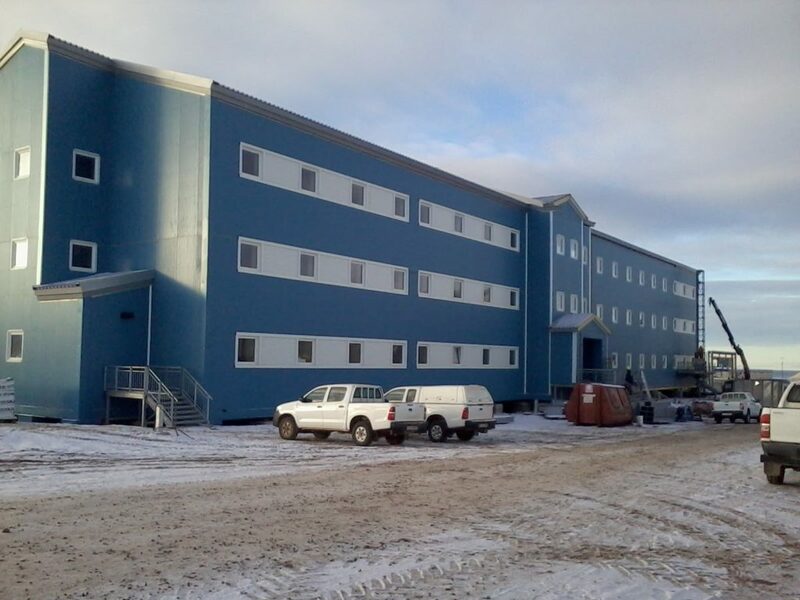 Throughout this time the Army Corps, under extreme arctic weather conditions, has helped the base fulfill this mission by constructing structures including dormitories, an aircraft runway, taxiways and aprons and even a medical facility. Now the Army Corps is consolidating and modernizing the base. In the early 1950s, the base’s main mission was to be an aircraft refueling stop. It was home to 10,000 Airmen and there were buildings spread throughout the entire base. During the Cold War Era, the base’s mission changed; it is now performing missile warning and space surveillance for the United States. Today, the base is home to 650 personnel – 200 are U.S. military and the rest are Danish and Greenlandic residents. Many of the original buildings are still in use, but have become severely weatherworn. Heating the old buildings wastes energy and fuel. Because the original buildings are far from the base’s central heat plant, long pipes are used to transport the heat. Because the Air Force is focused on saving energy, they called on the Army Corps to consolidate the base. «Much energy and money will be saved by not heating those archaic facilities», said Stella Marco, U.S. Army Corps of Engineers, New York District, project engineer. The consolidation effort will reduce the size of the base by 40 percent. The Army Corps is doing this by demolishing 31 old buildings and building new structures closer together in the central area of the base where essential services are located including the airfield and hangars, dining facility and hospital. The main structures being constructed are dormitories for noncommissioned officers who are visiting or on temporary duty at Thule AB. Presently, the Army Corps is working on 5 dormitory projects. This includes constructing flattop and high rise dormitories and renovating 636 existing dorm rooms. The Army Corps is also constructing a base supply and civil engineering shop and a vehicle maintenance and pavements and grounds facility. Other possible projects include expanding the base’s air passenger terminal and air freight terminal. These new and renovated buildings will receive an upgraded heating system. The base’s heating plant is receiving new, more energy efficient, exhaust gas heat recovery boilers and engines. 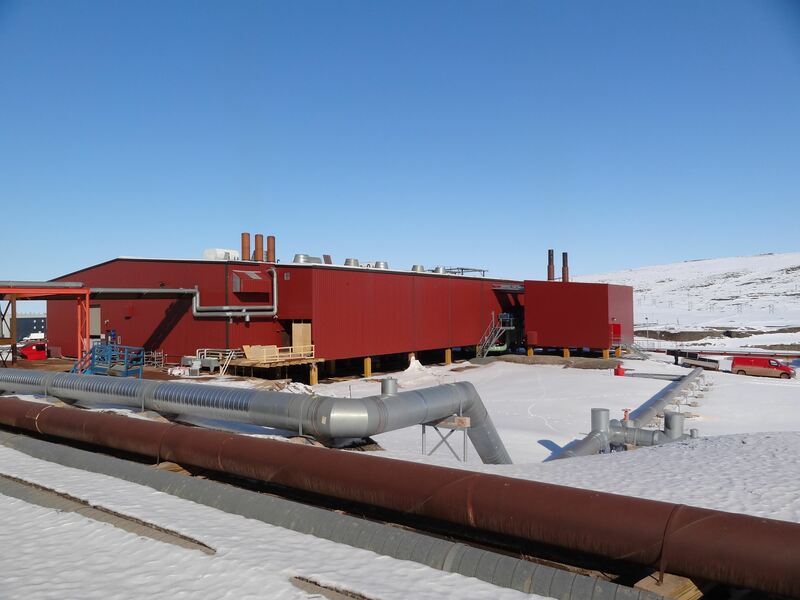 Performing construction in an Arctic environment is challenging and the Army Corps is an expert on this after having performed work for the base for over half a century. Consolidation is always good as a way to save energy and money, but it is even more important in the Arctic. «At such a remote and cold location, construction, maintenance and utility costs are very high», said Markus Tyboroski, Thule AB site support engineer. «For example, it costs three times as much to build a new facility at Thule as compared to an average location in the United States and annual fuel costs for power and heating are $12 million». «This consolidation will result in reduced base operation and maintenance costs and will provide energy savings», said Rodriguez. «It’s estimated that there will be an energy reduction of 35 percent. Since 2009, when the consolidation was starting up, the base has saved almost $37 million in energy savings and in base operating costs». Ultimately, the consolidation effort will benefit the Airmen protecting the U.S.
«The consolidation will provide Airmen improved support because they are receiving modernized facilities and the buildings will be closer together», Rodriguez said. «It’s great to see the project funded and in the works». Construction in the Arctic can be challenging due to severe weather and limited daylight, which requires the use of unique building materials, techniques and fast-paced construction. Most of northern Greenland is covered with permafrost, which is permanently frozen ground – ranging from 6 to 1,600 feet/from 1.8 to 488 m in depth. This requires structures to be constructed with a special elevated Arctic foundation. If buildings are not constructed off the ground, the heat from inside the building can melt the permafrost, making the ground unstable and causing buildings to sink. Buildings are elevated 3 feet/0.9 m from the ground with the use of spread footings that go down about 10 feet/3 m deep and concrete columns that come up and support the floor system above the ground. Construction takes place during the summer and autumn months when the temperature is a «balmy» 40 degrees Fahrenheit/4.4 degrees Celsius. In the winter, temperatures can be as low as minus 30 degrees Fahrenheit/minus 34.4 degrees Celsius. Of Thule’s proximity to the North Pole, the region has 24-hours of sunlight from May thru August and 24-hours of darkness from November thru February. The warmer weather makes it possible to break up the iced-in shipping lanes. This allows cargo ships into port with fuel and building materials. Building materials include prefabricated parts so that the workers can perform construction rapidly. Materials include concrete foundations, insulated steel and metal walls and roof panels. When winter arrives, workers begin interior construction. This work includes constructing mechanical, electrical, plumbing and fire protection systems that are designed to withstand extreme frigid sub-zero temperatures.